Mimer Metrics has many purposes, but one of them is that we want to make it easy for agencies to handle clients. It can be very time-consuming for agencies to document its work to clients. It’s the reason why we created automated reporting so your agency can spend more time on creating results and less time reporting your results. In this post, we will show you how easy it is for you to save time while creating informative reports. To show clients that you’re doing an excellent job you have to create goals. Goals make it easier for both the agency and the client to track performance. The client can see that you are performing as you should. For the agency, it gives them an excellent incentive to create tasks that can accomplish the goals. If your client needs to get more customers from Facebook, this could be a goal. You can create all kinds of goals depending on the client. This way everyone can see the performance of your work. When you are doing exceptional work, you want to let your clients see it. It brings us to the next important step: Documentation. You need to show your clients that everything is moving in the right direction and how their site or online store is performing. A simple way to accomplish this is to send reports to your clients. Most agencies send a report every month because if you are documenting your work, you are also more likely to keep the client. We noticed that a lot of agencies don’t do it because it’s a time-consuming task that you feel can wait. The reason is that it always seems more important to fix a problem for the client than to send a report showing all the work you already did. It’s the wrong why to look at it. Reporting is never procrastination. If you don’t send reports to your clients, they will never know if you are doing an excellent or poor job. Reports are a great way for clients to keep track on your performance. You should never only send reports when the client asks you for it. You should send them automatically with Mimer Metrics. It’s the fastest and easiest way to keep all your clients happy. When you use Mimer Metrics, you can create reports in no time. If that wasn’t enough, you only have to set it up once, and then you can send reports automatically to your clients. This will make you a World Class Agency and isn’t that what you want? Of course it is. So let me show you how easy it is. In your dashboard click on Reports. Then you add a report. 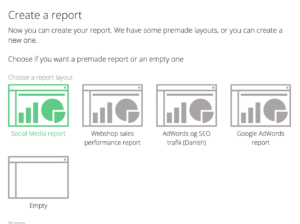 As you can see on the image below you can now choose several different reports to whatever suits your needs. When you have decided which report you want all you have to do is to click on Create report. Now you will get a report. If you want to add anything to this report, you can always click on Widget. We have chosen the most important widgets for your report, so you don’t have to spend time on it. 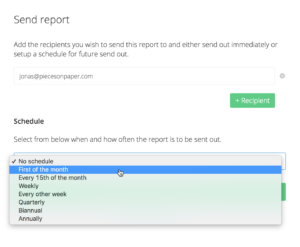 You only need to set this up once, and then you can send reports automatically to your client. All you have to do is to click the button Send Report. Now you can choose to send the report to someone’s email. 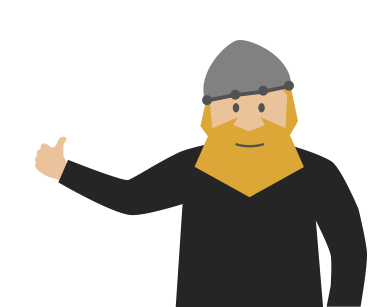 In Schedule, you can get Mimer Metrics to send the reports automatically. This will save you a lot of time if you have a client that needs a report every month. All you have to do is to click on First of the month, and then you don’t have to worry about it anymore. We encourage you to take advantage of this feature because it will save you a lot of time, and you will never miss sending a report. Let’s make happy clients together.